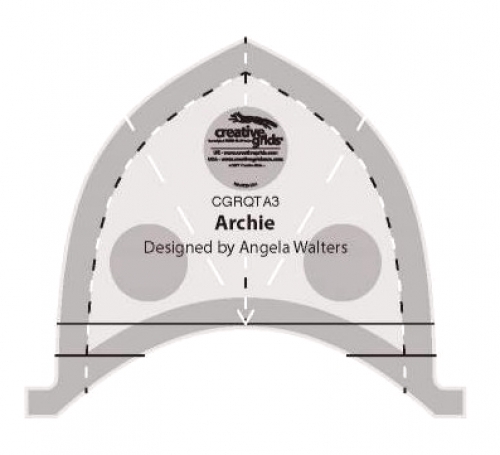 Quilting symmetrical arches can be tricky! Have you ever noticed that one side can look great while the other looks not so great? Don't get discouraged, get Archie! 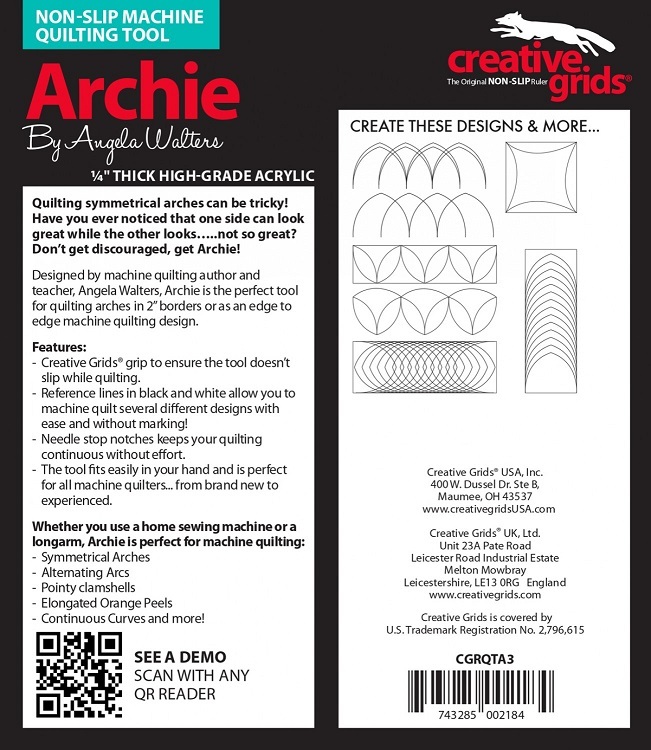 Designed by machine quilting author and teacher, Angela Walters, Archie is the perfect ruler for quilting arches in 2" borders or as an edge to edge machine quilting design. - Fits easily in your hand and is perfect for all machine quilters from brand new to experienced. High grade, 1/4 inch thick acrylic.